Laureltree Promotions - Your one stop shop for all your promotional needs! This heavy-duty laminate glossy envelope folder with open top and 2" expansion will keep documents safe while advertising your company! 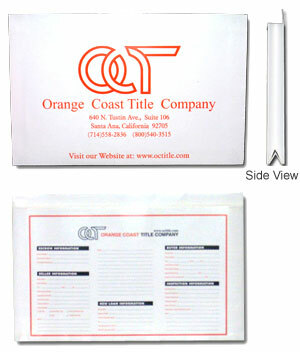 Real Estate agents will find these folders extremely useful for storage of important documents associated with transactions. Fully customizable!